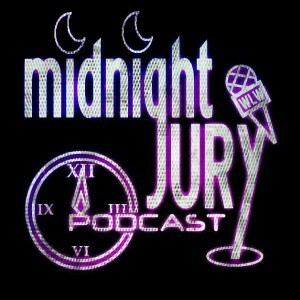 WLW Studios launched their first podcast the “Midnight Jury” in March of 2013. The show is dedicated to all things Pop Culture, Horror, and Music from the 80’s and 90’s. Being involved in Pro Wrestling for many years, they will occasionally review a wrestling event from that same time period. The shows hosts, Mike Noringonger and Calvin Brodie, grew up in these times and have spent decades amassing their impressive libraries of VHS, DVD, comics and collectibles from these decades. Mike has worked with pro wrestling companies from New York to Philadelphia to Pittsburgh and both hosts bring you a no nonsense view of films, music, the horror community and the wrestling business, never worrying about offending anyone. The Jury has appeared as on screen performers for RAGE Pro Wrestling, where they shot a pilot for MavTV, and also on WLNY 55 in NY, NJ, and CT and PhillyCAM in Philadelphia for Pro Wrestling Syndicate TV. The Midnight Jury has appeared LIVE and broadcast from PWS, CZW, WSU and RPW. In July of 2015 the Jury was able to broadcast from the legendary ECW Arena in South Philadelphia. Mike and Cal are usually joined by co-host Tony Brockadeda, who brings his own expertise to the show. One of Tony’s specialties includes his knowledge on the world music and board gaming, and you will usually find him in studio bringing his boisterous personality to the table. On the other side, what show would be complete without the female side of things? Sydney joins the guys sporadically and brings her beauty and great sense of humor to the table, along with her patience in dealing with a bunch of rowdy fan boys, as she shows up on random shows that peak her interest. 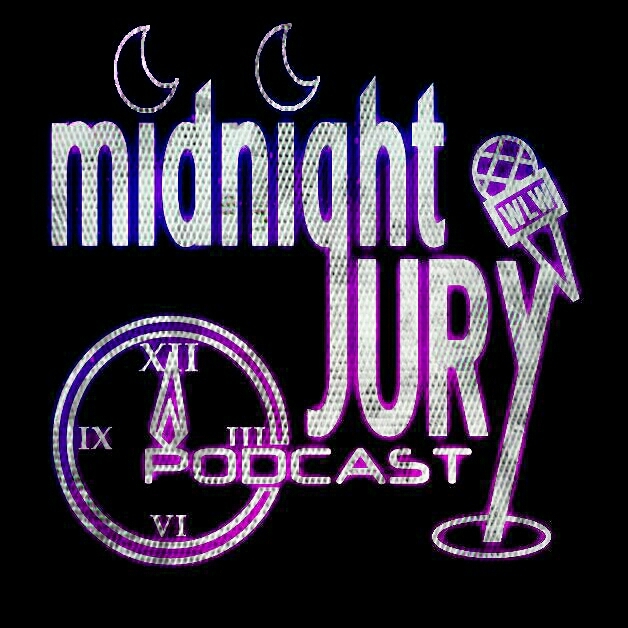 Lastly, Midnight Jury co-founder Adam Henning and Joey “Justice” Mandella join the Jury for episodes bringing their own specialties to the table. Adam spent 5 years as a main host of the show, but has taken a backseat as of late to Calvin due to other responsibilities. Adam loves traveling back to the 80s and 90s to review pop culture and horror films and will join the Jury whenever he gets the opportunity. Joey has called action ringside with Mike at many wrestling events, and is the only Jury member to still consider himself a “mark” for pro wresting of today when his fellow Jury members have fallen off as fans of the current product. Guest interviews are rare, but have included Sean Whalen from People Under the Stairs, Twister, That Thing You Do!, Men In Black, Can’t Hardly Wait and so much more, WWE Hall of Famer Jake “the Snake” Roberts, WCW Tag Champion Buff Bagwell, ECW Champion Tommy Dreamer, TNA’s the Dollhouse and some horror legends such as Ari Lehman the “First Jason” and Ed Gale who played “Chucky” in Child’s Play, Child’s Play 2, Bride of Chucky and “Howard” in Howard the Duck. Every week we give you a TV Show theme to bring you back to the 80’s and 90’s, sometimes Adam will feature forgotten musical classics on his segment “Vinylly Rediscovered” or they will hit the listeners with their segment “She’s Got The Look”. It’s 2 hours a week that you can sit back, relax and let us transport you back to the “Last Old School Generation” of the 80’s and 90’s.